Juan Villoro is Mexico’s most prolific author, playwright, journalist, and screenwriter. He has received the Herralde award in Spain for his novel El Testigo, the Antonin Artaud award in France for Los Culpables, and his novel, Arrecife, was recently short-listed for the Rezzori Prize in Italy. This is his first book to be translated into English. He lives in Mexico City and is a visiting lecturer at Yale and Princeton Universities. 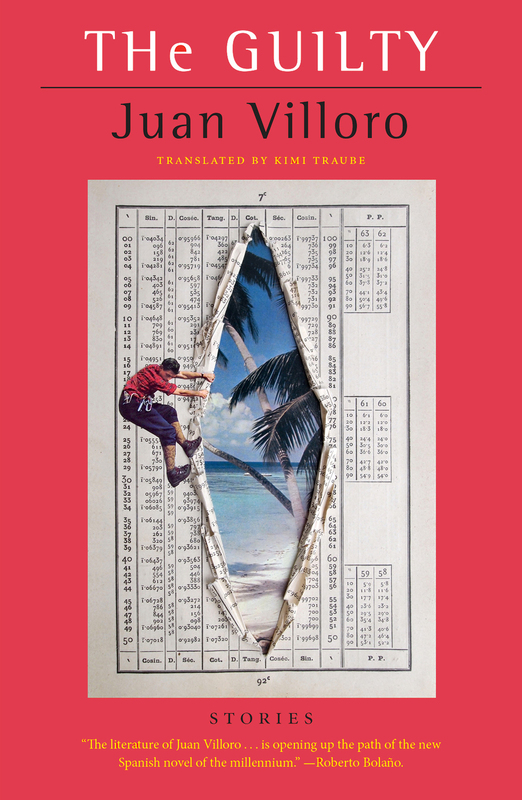 Kimi Traube's translations have appeared in Bomb Magazine, Powderkeg, and The Bridge Series at McNally Jackson. She has an MFA in Writing and Literary Translation from Columbia University and is currently working on a novel in prose poems. The Guilty is a brilliant, prize-winning collection of stories by one of Mexico’s most important living writers. From the semiotics of pet iguanas to the disillusionment of mariachi singers, Villoro reveals the deep dissatisfactions and absurdities of life in Mexico and its carnivalesque capital. We encounter a border trucker making a movie about illegal migrants, a cuckolded football superstar, and a gluten-free American journalist seeking the authentic Mexican experience. A master of the postmodern narrative, Villoro gives us contemporary Mexico through a complex interplay of culture and psychology in the most surprising, fresh and humorous ways.